Stone wall Jackson born in Tabor City, North Carolina November 6, 1932 is an American country singer and musician who achieved his greatest fame during country's golden honky tonk era in the late 1950s and early 1960s. He was named after the famous general, Thomas "Stonewall" Jackson, who was an ancestor.His most popular song was "Waterloo" in 1959. The song is a haunting and catchy tune that states that "Everybody has to meet his Waterloo," meaning their fate or comeuppance. The song cites Adam, Napoleon and Tom Dooley as examples. 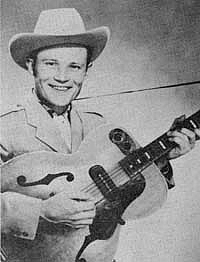 Jackson was the first to join the Grand Ole Opry before he got a recording contract. He signed to Columbia Records and debuted in 1958 with "Don't Be Angry." The song didn't score in the country music top 40, but it got him recognition.His breakthrough came in the country Top 40 in late 1958, with a song written by a young George Jones, "Life to Go." It peaked at #2 in early 1959 and his follow-up record, "Waterloo," was #1 for 5 weeks and crossed over into the Top 40 Pop charts, where it reached #4. His next #1 came in 1964, with "B.J. The D.J." (about an over-worked country music radio station DJ, who crashes his car in a rainstorm because of bad tires). Jackson was the first to record a live record from the Grand Ole Opry, in 1963 with "Old Showboat. "Other classics include "The Carpet On The Floor," "Why I'm Walkin'," "A Wound Time Can't Erase" and "I Washed My Hands in Muddy Water." Jackson also recorded a cover of Lobo's 1971 hit, "Me and You and a Dog Named Boo." From 1958 to 1971, Jackson had 35 Top 40 Country Hits. Along with Ray Price, Jackson is considered a cornerstone, after Hank Williams and Lefty Frizzell, in the hard-driving honky tonk sound in the late 50's and early 60's. In 2006, Jackson sued the Grand Ole Opry for $10 million, claiming age discrimination. As a member of the Opry for over fifty years, Jackson believed that management was sidelining him in favor of younger artists. In his court filing, Jackson claimed that Grand Ole Opry general manager Pete Fisher stated that he didn't "want any gray hairs on that stage or in the audience, and before I'm done there won't be any." Fisher is also alleged to have told Jackson that he was "too old and too country." Subscribe to Stonewall Jackson RSS Feed to get latest lyrics and news updates. What do you think about Stonewall Jackson? Let us know in the comments below!